When it first appeared in 1992, Honda’s CBR900RR FireBlade was a revelation. It broke the 749cc sportsbike mould with its 893cc engine and established a dynasty which today, 12 generations of Blade later, remains at the cutting edge of sportsbike innovation as the CBR1000RR Fireblade. Classic Motorcycle Mechanics editor Bertie Simmonds tells the full story of this iconic model. 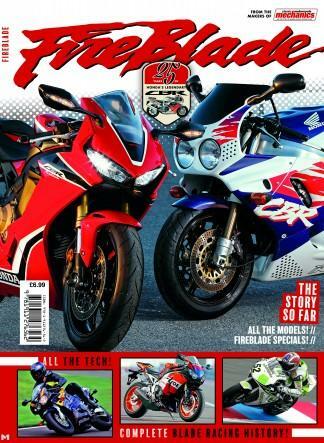 Be the first person to tell us what you think about Fireblade and you'll save £2.50 on your next purchase!